When you work in the mental health care field or in corrections you put yourself at risk every day. Here’s how, and why, arm guards are important for the job. For a corrections officer or health care professional, the risk of injury is just another part of the job. 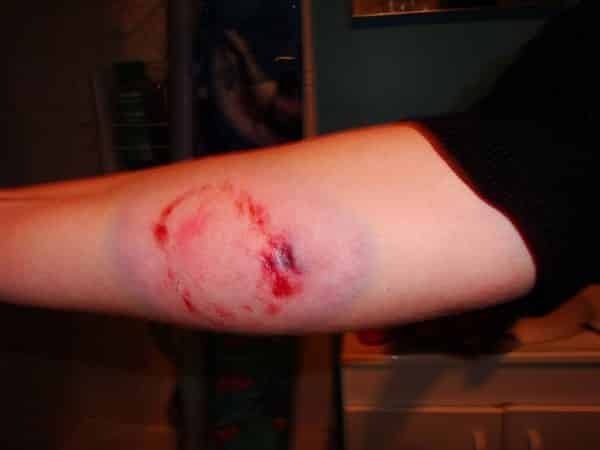 Some of the most common injuries for these fields are the risk of bites or scratches. If you’re a professional working in corrections, mental health care facilities, special needs hospital, or a school, dealing with the possibility of human bites can be an unfortunate reality. It’s vital that you take preventative measures to minimize the risk of human bites in your workplace. Let’s take a look at some of the reasons why you should invest in an arm guard to keep you safe on the job. The risk of suffering from a human bite is not one to take lightly–a bite injury can be devastating both for your career and your personal health. Working in these high-risk jobs isn’t easy–but you can minimize the danger of bite wounds and keep yourself safe through arm guards. Even if you’ve never been bitten before, an arm guard can provide the security of knowing that you can perform your job to the best of your ability–without the risk of human bites. Once you decide to invest in an arm guard for your professional safety, it’s important that you make the right choice. Your safety in the workplace is important–look through this checklist before making the commitment to buying your new bite resistant arm guard. Strength. Before you commit to an arm guard, take a look at the material to make sure that it’s up to the highest standard. Make sure it’s certified to have high resistance in these four categories: blade cut resistance level, puncture resistance level, tear resistance level, and abrasion resistance level. There’s always a risk of being punched, kicked, and hit in addition to the risk of biting, so your arm guard has to be prepared to handle anything. Durability. Your arm guard doesn’t just have to be strong, it has to last too. Be sure that your arm guard is up to the wear and tear of your day to day job. Especially if you work hands-on or outdoors, you’ll need a material that will last a long time. Effectiveness. Strength and durability can only go so far if your arm guard isn’t easy to wear. Look for an arm guard that you can wear either under or over your shirt, as well as one that is simple to take on and off. Comfort. Especially for full-time workers, you’ll be wearing arm guards from morning to night. It’s important that they’re easy to wear. Check to see if your arm guard is made of a breathable material and feels comfortable to the touch. Cost. While it’s important to make a good investment on a quality piece of equipment, you can find a high-quality arm guard without breaking the bank. Some arm guards can get up to nearly $200, but you can find an affordable, effective alternative for less than $50. If you’re working in the corrections industry or as a healthcare professional, your job can be dangerous. Why not take the chance to minimize risks and make sure you can be safe and healthy on the job? Make an investment to protect yourself from physical injury, infection, and psychological distress. Don’t let a human bite wound hold you back from your personal and professional life. Bite resistant arm guards have already been introduced in prisons, correctional facilities, and hospitals around the world, and they’ve been shown to reduce the risk of biting related injuries significantly. 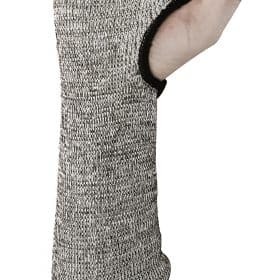 If you’re looking at getting a pair yourself, contact us here or check out our selection of bite resistant arm guards. This entry was posted in Our thoughts. Bookmark the permalink.